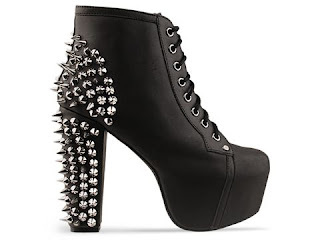 Me Time....: Jeffrey Campbell Boots - I need you in my life! Jeffrey Campbell Boots - I need you in my life! Jeffrey Campbell, what a craftsman! His shoes are a work of art, a modern day Picasso! The two above are my favourites, they would transform ANY outfit into a WOWtfit! I'll be dreaming of these for now but maybe I'll treat myself to a pair after my exams! I'm sooo into these shoes too :) they are just awesome!! !